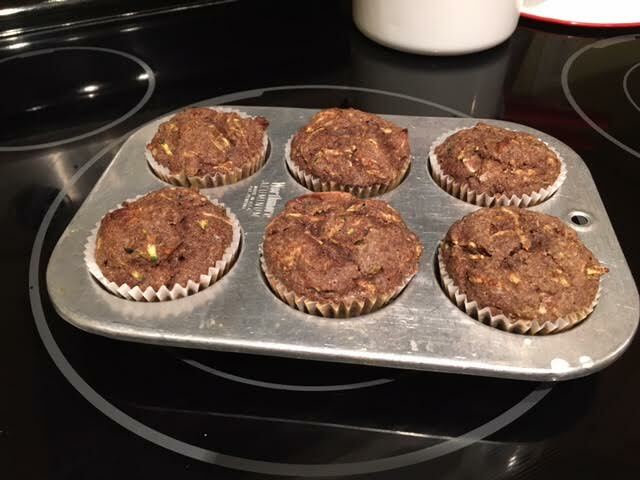 Zucchini Muffins - made with the one and only zucchini I was able to grow this year.. Bad garden year for me. This recipe I found on the Atkins Blog… and I had to try it, I sure missed having my muffins…But no MORE! Directions: 1. Preheat an oven to 350°F. Grease 6 wells of a standard nonstick muffin tin. 2. Combine the eggs, oil and vanilla in a small bowl. Using a whisk beat until frothy about 1 minute. 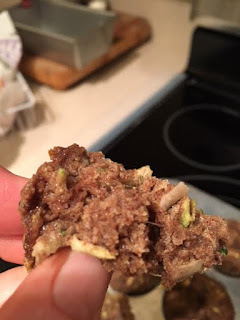 Shred the zucchini, add it to the bowl mixing to combine. 3. 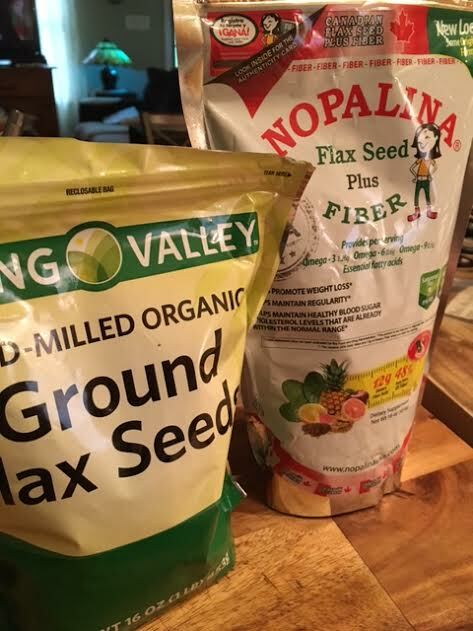 Add the flax meal, protein powder, granular sugar substitute, baking powder, salt, and spices. Mix with a spoon to combine. 4. Bake for 25 minutes until slightly puffed, golden and cooked through. Enjoy!